Problem with your car? Time for your next scheduled maintenance? Schedule an appointment with our certified service department by completing the form below. We will confirm your appointment via your preferred contact method as soon as possible or you can call us directly at 910-455-2121. Looking for an auto repair shop in Camp Lejeune or Swansboro? Come to Marine Chevrolet Cadillac in Jacksonville, NC. We can fix major part replacements, as well as routine maintenance, such as oil changes and tire rotations. Contact us or fill out the form below to schedule an appointment. 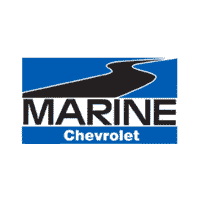 Why Come to Marine Chevrolet for Your Auto Repair Needs? Our professionalism, superior customer service, and knowledge of Chevrolet and Cadillac is why you should come to us. We set the standard for Cadillac and Chevrolet repair in Jacksonville. Our mechanics have the tools and knowledge to quickly diagnose and repair your vehicle to get you back on the road.